Westridge Cabinets - New Wave Inc.
Westridge Cabinets has humble beginnings as a distribution centre in 1983, but has grown into Western Canada’s largest vertically integrated cabinet manufacturer. From the factory production methods to the cabinet designs, Westridge uses entirely proprietary methods of Manufacturing and their product offering is proudly manufactured in Canada. 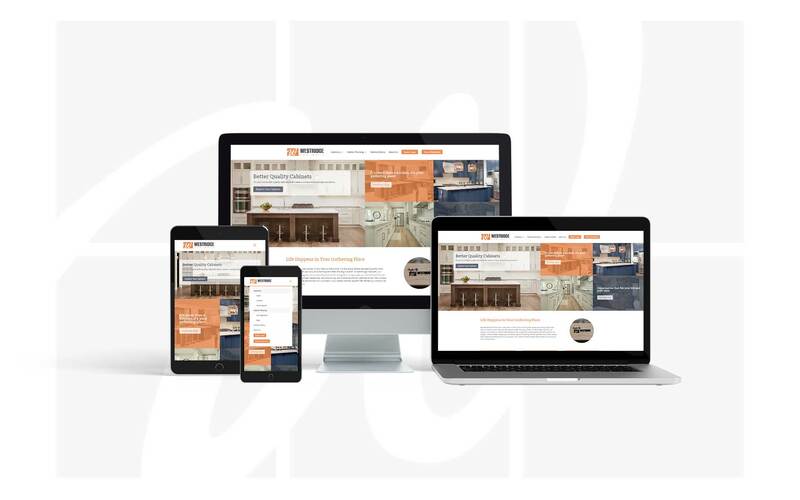 Westridge Cabinets was seeking a way to develop their online presence that would attract both consumers as well as business partners. Their website was outdated, they were inactive on social media, their online reviews were suffering, and they were not creating innovative methods to showcase their products. New Wave was hired as the agency of choice to strategize, design, develop, and execute effective marketing tactics. The main goal was to improve online visibility including search and social while building brand perception, increasing sales, and strengthening relationships within the community. 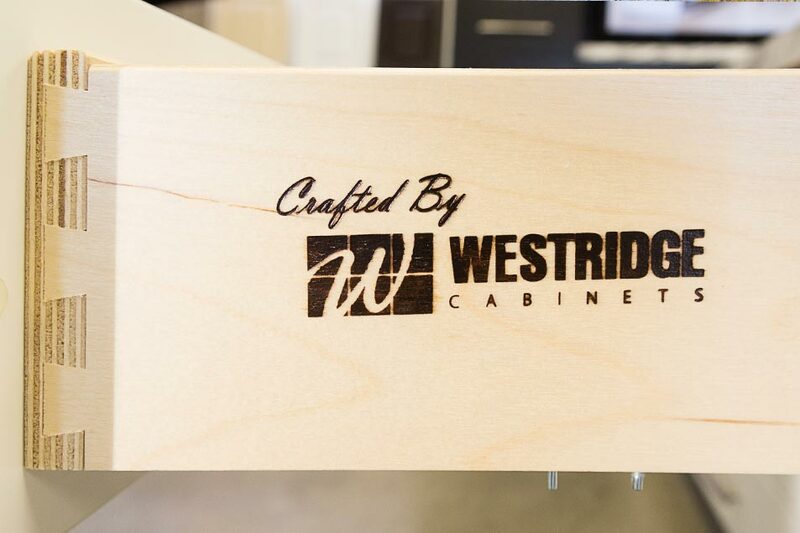 Westridge Cabinets was seeking a way to develop their online presence that would attract both consumers as well as business partners. Their website was outdated, they were inactive on social media, and they were not creating innovative methods to showcase their products. New Wave was hired as the agency of choice to strategize, design, develop, and execute effective marketing tactics. The main goal was to improve online visibility including search and social while building brand perception, increasing sales, and strengthening relationships within the community. In order to achieve the strategic goals, New Wave leveraged several digital tactics that would vastly improve Westridge Cabinets’ digital presence through a website redesign, an SEO strategy, a social media marketing strategy, brand reputation management, and video marketing. By having a comprehensive review campaign happy customers were more likely to write a positive review about their experience. Unhappy customers are usually the loudest online, but New Wave developed a strategy to encourage happy customers to be more vocal about their experiences online. 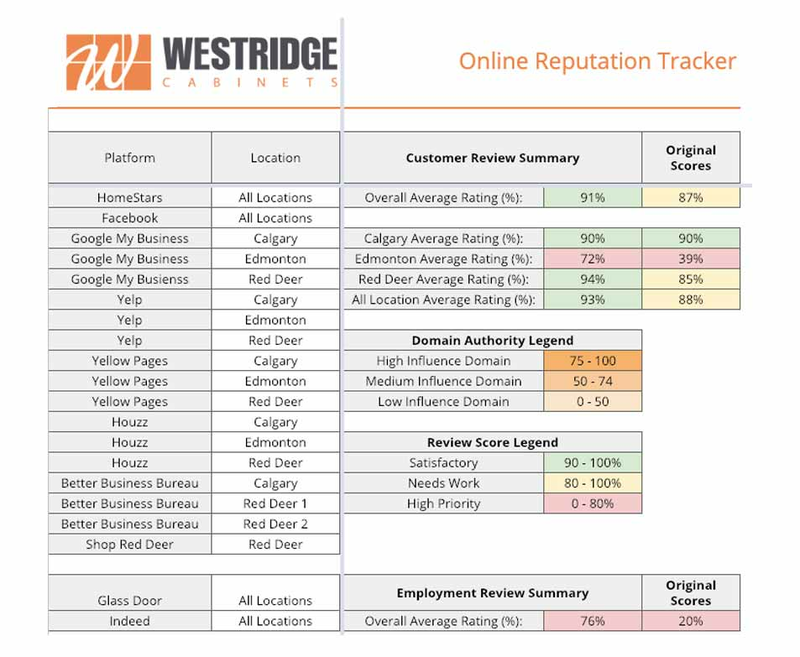 This resulted in higher ratings across platforms such as YellowPages, Google, Houzz, and HomeStars among others. The redesign for the Westridge Cabinets website was a large project to undertake with 30+ pages of content needed to be designed and written with SEO. Working with 12 specific keywords, our SEO efforts launched Westridge Cabinets from the depths of Google (3-10 page results) to 10 keywords reaching the 1st page, the other 2 comfortably sitting on the upper 2nd page. Fresh monthly content was created in the form of blogs and downloadable content to provide value to consumers as well as potential business partners. New Wave performed social media marketing on several platforms including Facebook, Twitter, Instagram, and Linkedin. Each platform showed great growth and engagement. Social was a prime tool in building and maintaining relationships within the industry. New Wave performed daily engagements on targeted platforms and engaged the community with interactive posts. Feature videos were made to showcase the detail and uses of cabinets handcrafted by Westridge Cabinets. A total of 10 videos were created over a 3 month period which were used for social media marketing as well as content on the new website. Does this sound like something your business needs? Connect with our team and let’s get to work! LET’S GROW YOUR BUSINESS, TOGETHER!